Apostolia Papadamaki is an internationally acclaimed choreographer, a traveler, performer and teacher. An ongoing life learner, Apostolia studied Contemporary Dance, Contact Improvisation, Yoga and Alexander Technique in New York. A lover of movement, arts, and spirituality, she also studied Shamanic practices, Music, Voice, Physical Theater, AiKiDo, Scuba Diving, Craniosacral Therapy and Rei-Ki collaborating with inspiring artists, musicians, and teachers in many lands. 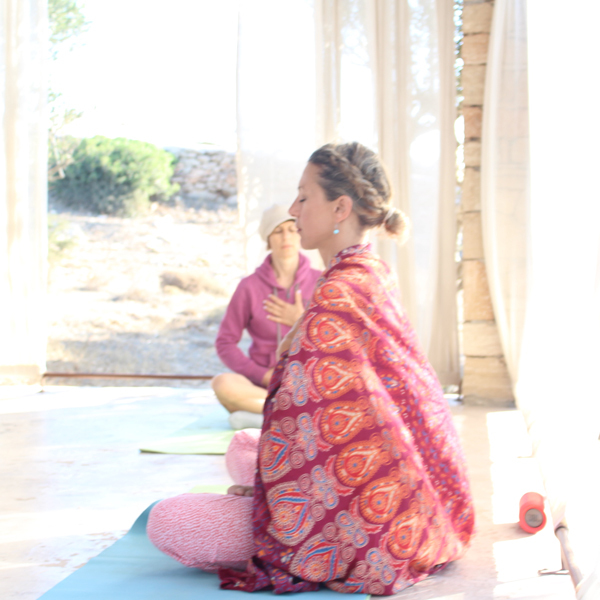 Endowed with profound spiritual insight and being thankful to life, Apostolia founded The Happiness Retreat to share her knowledge, experience and joy with other beautiful souls. 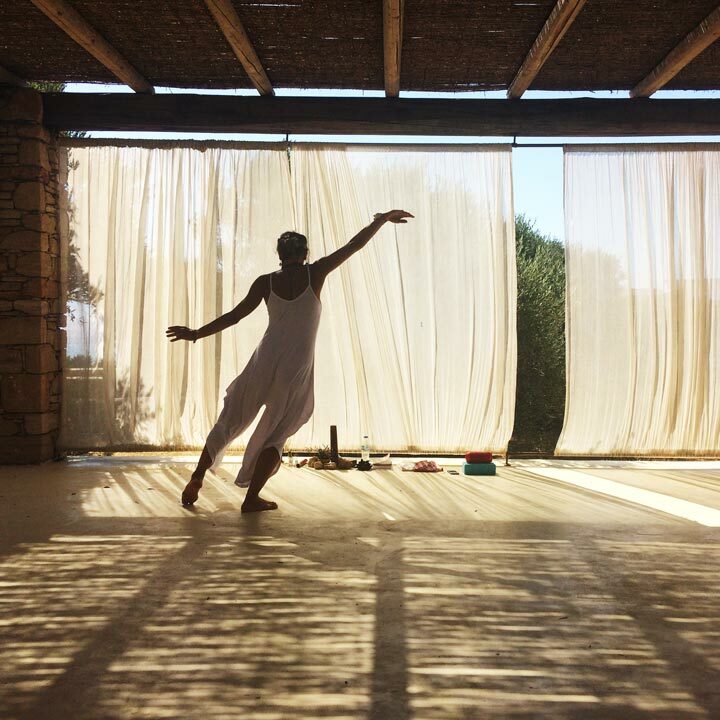 After 20 years of ongoing studies and research on movement Apostolia, founded Biomatic Anatomy, a holistic method of embodied anatomy, mindful breath & spiritual awareness that expands to Impulse Dance, Floating Body and her Yoga teachings. She believes that everybody is a perfect human being, in any age and can find fulfilment cultivating self- love and mindfulness. Her choreographic work and teaching methods have been presented in more than 40 festivals around the world. In 2004, Apostolia choreographed the 12th Paraolympic Games Opening Ceremony at the Olympic Stadium of Athens, with 250 professional dancers and 350 amateurs. In 2015 she choreographed Drops of Breath, the 1st Underwater Dance performance in the world.In 2016 she lounged the Sleep & Dream performance series -experiential performance with the participation of the audience performing, dreaming and sleeping on stage. Currently, she is choreographing for Theatre, Opera and Films, teaching Impulse Dance & Biomatic Anatomy as well as designing tailor-made corporate and wellness events for foundations and organisations worldwide.